When an airline loses your luggage, it can take hours or even days to get someone to tell you where it ended up -- if it ever turns up at all. Wouldn't it be easier to hear from the luggage itself? 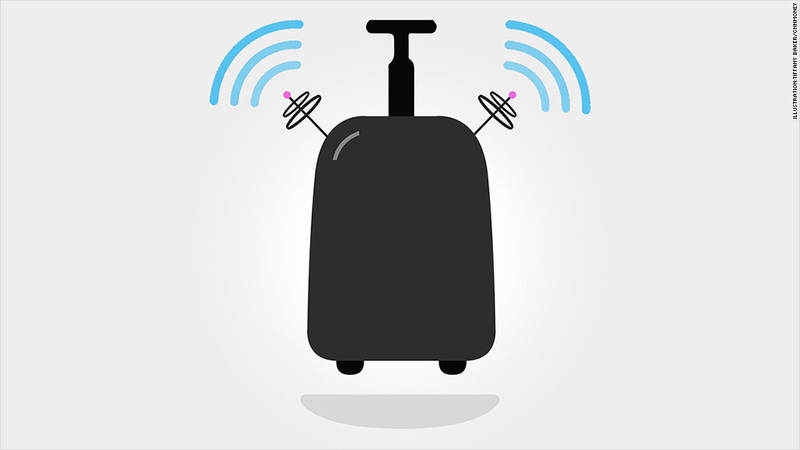 That's the promise of "smart luggage," in which GPS tracking chips are embedded in bags capable of transmitting their locations to travelers and even contacting airlines directly when they get lost. AT&T (T) unveiled a similar concept at a demonstration of its "next-generation technologies" in May. The company envisions integrating the product with standard suitcases and bags -- perhaps through an attachable tag -- though it could also be built into suitcases directly. The ultimate plan is to for the luggage to work with airlines' IT systems, contacting the carriers directly and arranging for delivery to your home or hotel. These products are still in the developmental stage and will need approval from federal regulators, but they're sure to find some grateful customers: U.S. airlines mishandled over 141,000 bags in April, according to government statistics, or about three bags for every 1,000 passengers.